it’s not far-reaching to expect an imaginary fable to lift off – through the magic of animation. with ‘The Wind Rises’, a fictionalized biography of JIRO HORIKOSHI (1903-19820) the young man who designed fighter aircraft . .
used by Japan in WWII . . .
it’s absolutely wondrous !! and stirring . . to behold. just we humans have no control over our lives and . . destiny. a most gorgeous production, a big part of the compelling emotional depth of this film, which is in essence a medley . . on an industrial design !! comes from the wistful and haunting music. the soundtrack, composed and conducted by JOE HISAISHI is performed by YOMIURI NIPPON SYMPHONY ORCHESTRA. JIRO . . and his dream of the famous Italian aircraft designer . . GIOVANNI BATTISTA CAPRONI. watch: ‘THE WIND RISES’ – trailer on YouTube …. !!!!! was founded in 1985, by some . . very very cool people. except for a tiny crowd sequence in one film, all the Studio Ghibli films are hand-drawn. they have made over 20 . . amazing & visionary films. here’s a great, fact-packed intro . . . by ChannelFrederator !! incl. where that one & only, super brief CGI sequence . . happened !! read more about: CHANNEL FREDERATOR – THE ONLINE CHANNEL NETWORK FOR . . INDEPENDENT ANIMATORS & ARTISTS !! see: CHANNEL FREDERATOR OFFICIAL WEBSITE !! ‘WHISPER OF THE HEART’, STUDIO GHIBLI, JAPAN 1995. 10 DAY SHOWING . . .
‘Perennial Shadows’ features original music by JOE WILLIAMS & a reading by PROJECT PAT. “‘Perennial Shadows’ is a film that surveys kudzu, a plant native to eastern Asia & which is considered an invasive species in the United States. THE FILM was shot over Fourth of July weekend throughout various small towns in North Carolina and explores different ways in which kudzu can consume the landscape of a town, as it is seen in fields, on roadsides, in parking lots and other affected areas. The plant is ubiquitous, but it is unclear whether it is considered a menace or accepted as part of a regional heritage. 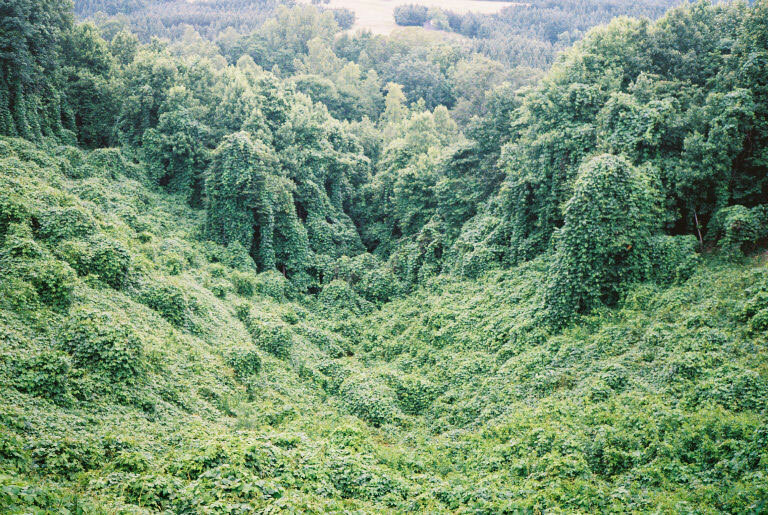 BY 1946, it was estimated that three million acres of Kudzu had been planted in the United States. The plant thrived in the climate and environment of the American Southeast and began to grow at an uncontrollable rate of nearly a foot per day. Kudzu supports itself by killing and growing on top of other plant species, making it completely capable of smothering anything form small grasses to mature trees. Killing kudzu itself is nearly impossible – it grows back almost immediately after being cut down and it can take up to 10 years for herbicides to effectively contain it. By the early 1950s, promotion for the growth of Kudzu had come to a halt. THE PLANT that was once regarded as a miracle was now considered “the vine that ate the south”. Kudzu became a staple in southern literature as a way to establish a setting, but also as a metaphor for topics such as racism, politics and poverty. In ‘Kudzu’, a well-known poem by the novelist JAMES DICKEY, the plant provokes horror amongst a community that shuts their windows at night in fear that snake infested kudzu vines wil creep into their homes. Myth began to take over science as southerners speculated a world completely covered in the invasive vine. and, I guess it’s inedible, and not a ‘fuel’ source . . . ??? and I guess if it shows up on your property, you have to devote a dedicated amount of labor – to keeping it at bay ?? damn, it’s the veritable terrorist . . weed. TOMMY MALEKOFF (b. 1992) is an artist from North Carolina. He currently lives and works in New York City. a downtown pop-up . . . titled: ‘VACANT POSSESSION. which ran JAN 28 – FEB 4, 2017.
hmmm, Vacant Possession . . to Perennial Shadows, and back again, NO DOUBT !!!!!! 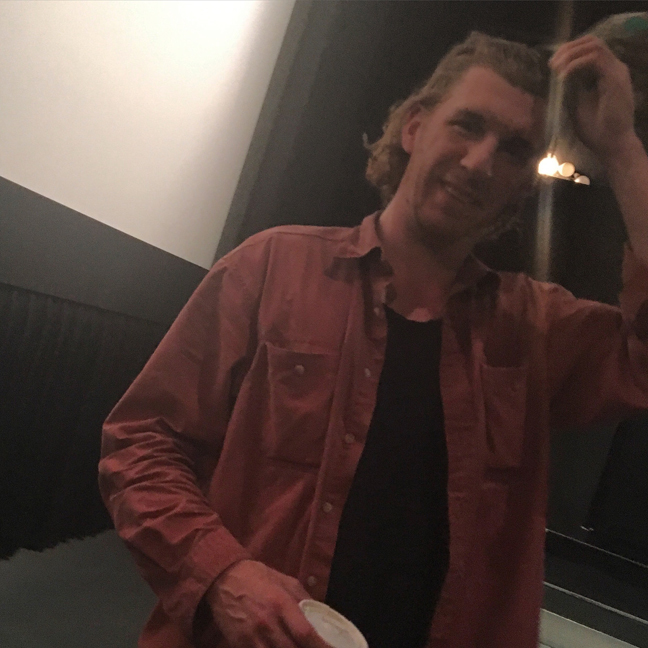 I first really noticed TOMMY MALEKOFF, at his first pop-up NYC screening, which took place just about a year ago, FEB 20, 2016.
the short film was called, ‘THE OUTDOOR WORLD’, and it blew me – away. 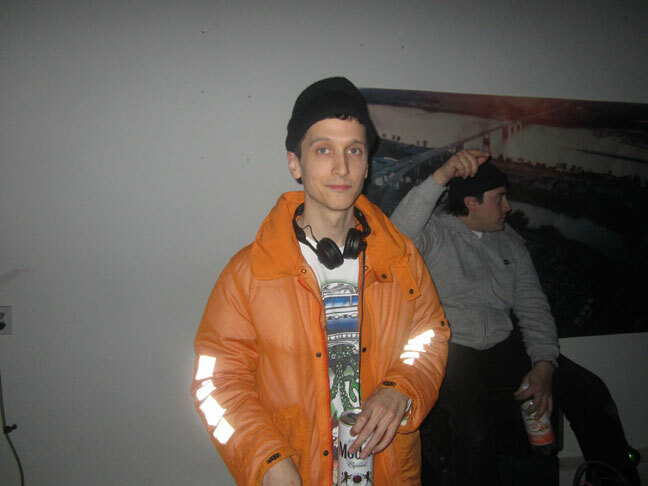 musician, composer, & DJ JOE WILLIAMS . . .
who writes & produces the original music for Tommy Malekoff’s films. at the pop-up screening of ‘THE OUTDOOR WORLD’, Feb 20, 2016. Lower East Side, NYC. A LOVE – SUPREME . . . !!!!! YES . . . !!!!! I caught the new, and totally engrossing . . JOHN COLTRANE DOCUMENTARY – ‘CHASING TRANE’, directed by JOHN SCHEINFELD on the very last night of the superb DOC NYC 2016 FESTIVAL – last Thursday. totally wonderful experience, the film’s director, JOHN SCHEINFELD attended & we, the enraptured audience . . had the intimate opportunity to hear many sweet stories from behind-the-scenes & to have many of the powerful, inspiring & esp spiritual moments of this talented, beyond-the-beyond ‘spiritual’ man’s life & music journey – brought even closer to us. the film brings the music and the man to life – what more can you say. a film that fills the venue with Coltrane’s music, richly accompanied by many many archival clips, even some . . just found . . early color (8MM?) DIY home movies. a long lost old recording studio clip, many various voice-overs, and profound, seriously: inserts/clips of the few surviving jazz era musicians, who knew and played with John Coltrane – were among my personal fave. to help ‘tell’ the story, DENZEL WASHINGTON reads emotionally – from old John Coltrane interviews (which had been published in magazines throughout the years) . . as if he were the ghost come back. and then, there were some surprises. 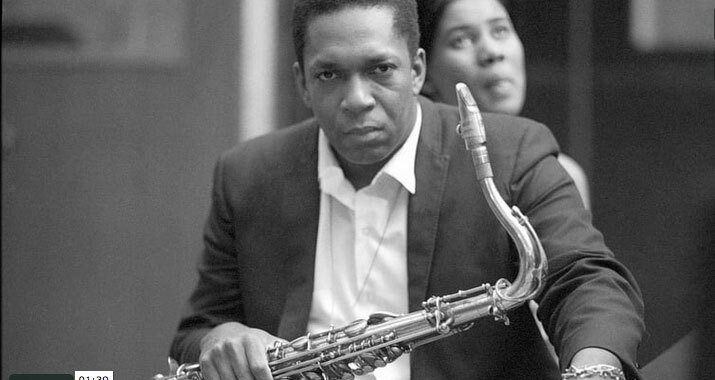 some very moving, archival, black & white video . . of when John Coltrane, and his ‘deep waters’ / wife ALICE COLTRANE, went to Japan on tour – and stopped in Nagasaki to honor the victims of the horrific atomic bombings. and even fast forward, an amazing snippet . . of: one-helluva-crazy . . ‘super fan’ in Japan, today. does this movie ‘catch the Trane’ – no doubt about it. as much as a man of this stature, can be . . caught. it tells the story, and it plays . . the music. 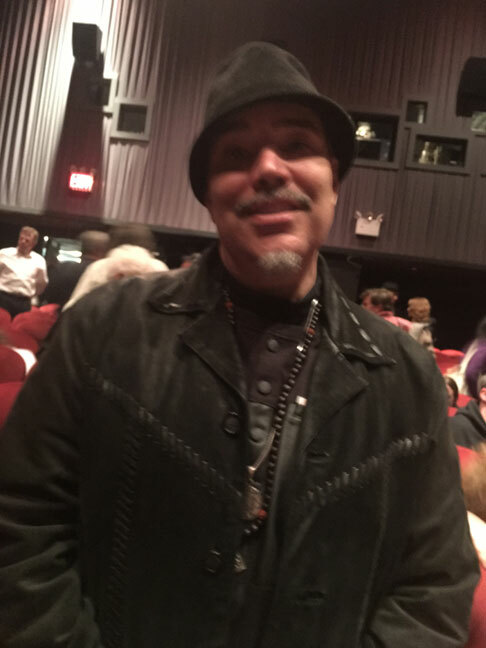 notably, the film also features JOHN COLTRANE inspired / illustration / artwork by RUDY GUTIERREZ, who to my total absolute delight was sitting right . . behind me !! 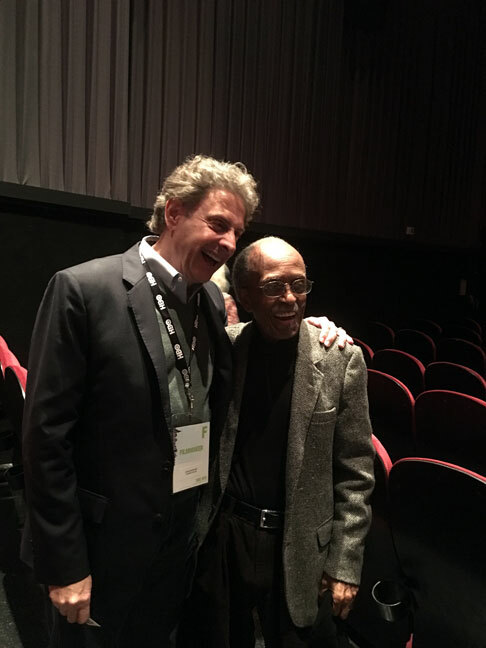 on the left: JOHN SCHEINFELD, veteran documentarian (The U.S vs. John Lennon), Director of ‘Chasing Trane’ – who weaves together a visual & truly spiritual portrayal . . of the music and the man. at the right: veteran Jazz musician, JIMMY HEATH, aka ‘Little Bird’. his cameos in the film are just so off-the-cuff profound, wise and smooth – as to be some of the most memorable ‘living’ moments in the film. also not to forget: Jimmy’s super snazzy, but low-key style: that hidden front-buttoned, gray shirt, oh my. JIMMY HEATH: so vibrant, yet calm. handsome. Soho ‘minimalism’- on point . . !! this man has had some life, and the strength of inner soul – to prove it. 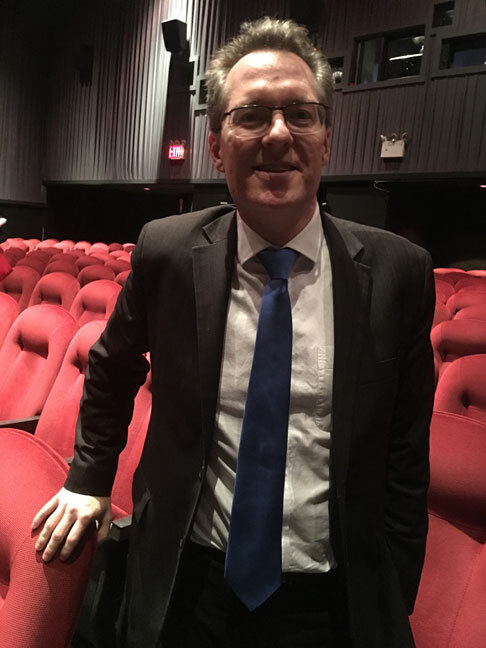 THOM POWERS, the Artistic Director of DOC NYC. RUDY GUTIERREZ . . . artist. I had noticed Mr. Gutierrez, earlier that evening, when I was standing in line to enter the SVA theatre. he seemed really super-charged and very dynamic. animated. my inner radar went: ping. so when John Scheinfeld, said the artist who had contributed the drawings at the beginning of the film, was in the audience, & gave him a shout out, & asked him to stand up, to much applause – I turned around and there he was, same guy. right behind me. indeed, I got a little spooked. backtrack slightly: Mr.Scheinfeld, besides using words & interviews, historic photographic footage – and most of all . . plenty of the music itself !! to get across John Coltrane’s infinite musical ‘universe’ – esp as the music evolved, also tries using visual ‘art’ to engage the viewer more fully with the music. the film opens with the infinite cosmos, the stars and skies. and then at some point Mr. Gutierrez’s raw and powerful drawings, with their African American roots & free-form, sensuous vitality – are called into play. spiritual, rambling, rolling, evocative – they have the feel & visual depth of black folk-telling, ‘outsider’ art, & ancient/contemporary woodblock design, the influence of the great Black Panther artist – Emory Douglas ? in a word: cultural illustration at its best. they hold in their fluid lines, and honey gold colors the inherent celebration of our country’s black roots / soul, blues and jazz. slavery, gospel, spiritual heartful-ness. America – the whole damn mess & the once invisible, black African cultural attainment – coming forth, poring forth painfully, and yet ultimately: joyfully . . just as John Coltrane’s music surely did. and does. the colors of these paintings are not just the color of so-called ‘folk art’ but they are radiant, like colored glass. truly: the light they cast is radiant, like that of a stained glass window, in a church. stained glass windows . . in the Cathedral of Jazz. I don’t want to get too into it, but Coltrane’s music is not just for / or a case for: the ‘initiated’. plenty of the participants, like the wonderful showman / philosopher CORNEL WEST . . knew Coltrane’s life well, and ‘got’ the intent of the music . . but, as he himself readily admitted, Mr. West could not fully ‘fly’ with the sound / that is, some of the initiated, people who loved & admired Coltrane, just could not fully let go & do the free-fall, follow the musical stream of conscious / while others – who might not know his whole life story at all – barely had words for the rapture they felt on just, just: hearing the music. the art of Rudy Gutierrez danced to the music – and, hopefully opened a sensory pathway. go to the film’s official website . . ‘CHASING TRANE – The John Coltrane Documentary’ . . scroll down a bit & watch the trailer !! 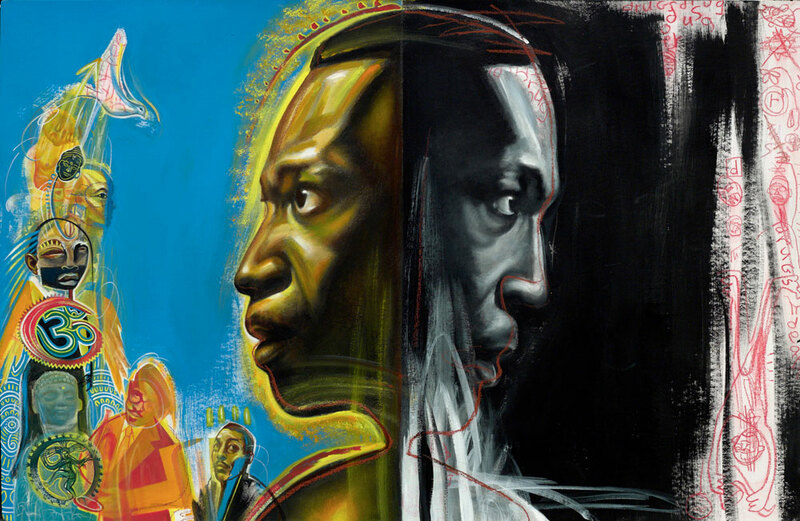 RUDY GUTIERREZ, “John Coltrane, Divided Soul’, 2011. Acrylic and crayon on board. 25.5 x 40 in. 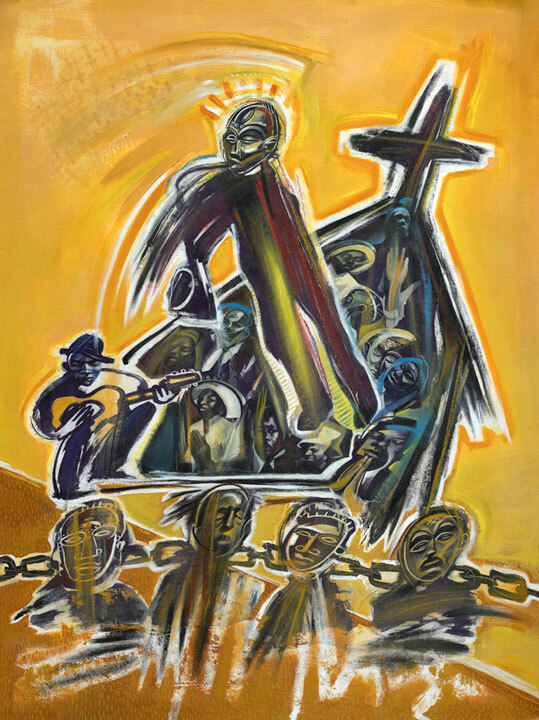 RUDY GUTIERREZ, ‘Slavery, Blues, Church and Jazz’, 2011. Acrylic, collage, mixed media on board. 30 x 40 in. PHOTOS: NANCY SMITH, SVA THEATRE, CHELSEA, NYC. DOC NYC FESTIVAL / NOV 17, 2016. HAPPY THANKSGIVING – TO ALL. tomorrow, THURS JULY 13, 2016 . .
is the last day you can catch ‘MEN GO TO BATTLE’ at the Anthology Film Archives, here in NYC. the film then travels to Los Angeles, and eventually it will land on Netflix, where I’m sure it will become a huge sleeper hit. People will be watching it, every Thanksgiving. REVIEWED BY NANCY SMITH – JULY 13, 2016.
with a shout-out to the entire crew. gorgeous production, haunting sound, beautiful acting, deep not wordy screenplay, and really . . the cinematography – thank you BRETT JUTKIEWICZ !!
. . . for an indie film, wow. last week was so heavy, with sad events in the life-blood of this country, apparently ‘civil war’ and the ‘slavery/black/white’ issue have still not been resolved, even though the Civil War took place over a century and a half ago, and brought 1/3 of all the country’s men to their death . . . that I felt I caught a really lucky break, first to be able to act upon the great reviews this sweet young film received in the mainstream press and then, even luckier . . to have the director ZACHARY TREITZ show up, unannounced . . and bring along as well – the 2 lead actors: TIM MORTON and DAVID MALONEY. 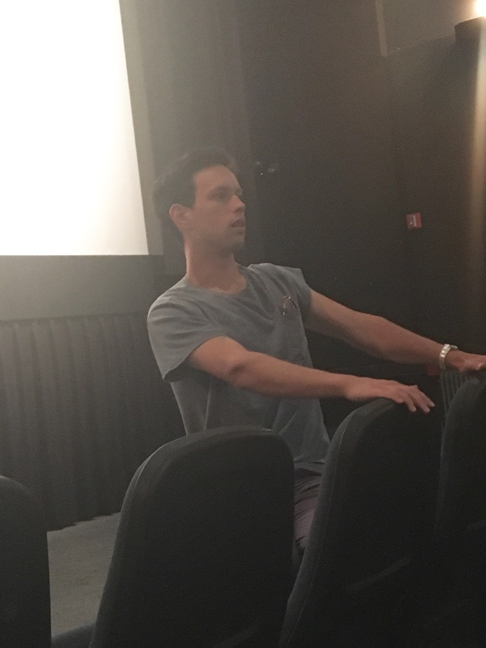 my heart stopped beating during the film, and my imagination froze to watch the Q & A in person, up close and personal, afterwards. ‘Men Go To War’ . . 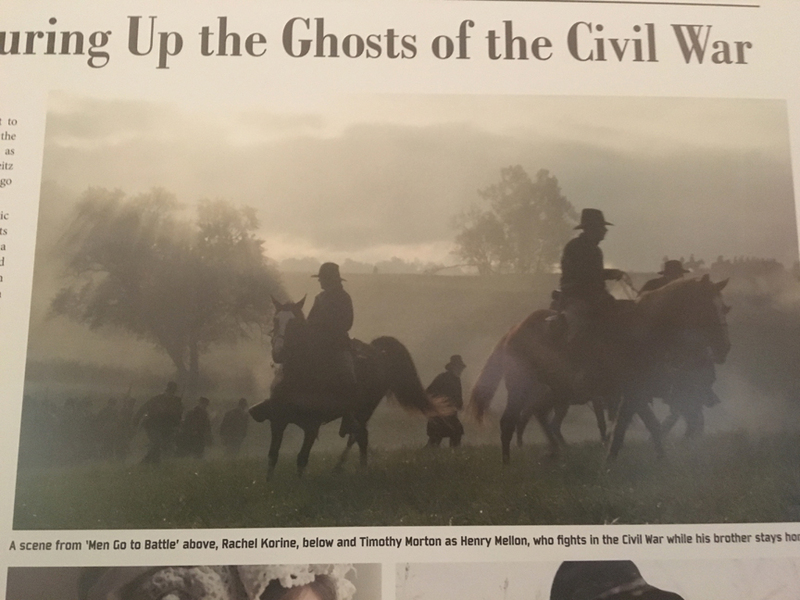 Conjuring Up The Ghosts of the Civil War, Wall Street Journal. 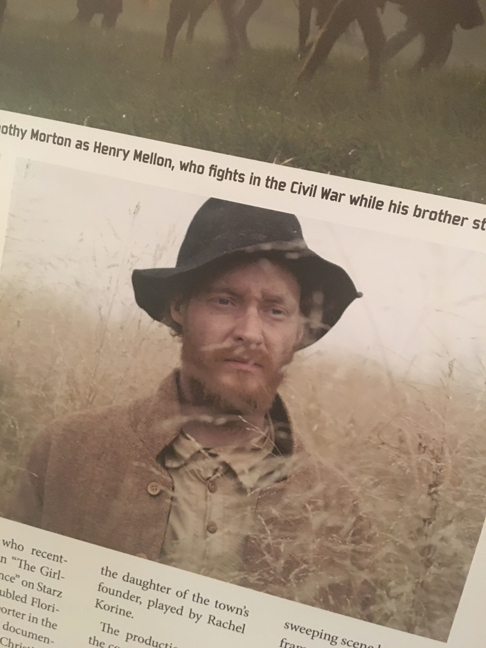 July 6, 2016.
this film is a unique take on the Civil War. yes, it is a war ‘capture’ . . . but even more so, it is a peephole look into the heart of the maelstrom as seen through the eyes of 2 struggling Kentucky farmer brothers. 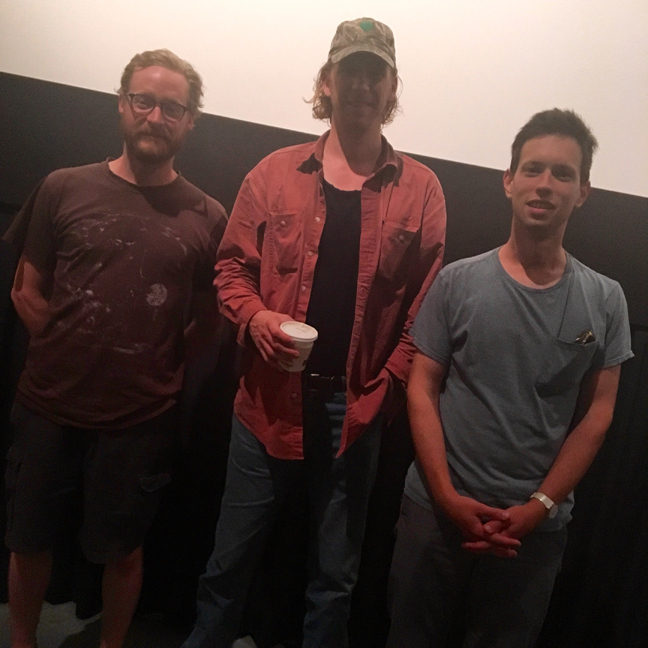 when you are later informed that the director, Zachary Treitz, and the 2 lead actors, David Maloney and Tom Morton, all grew up in Kentucky, you understand why this small indie feature speaks – with such a deep, and authentic voice. the film, in fact is the inverse of all the action-driven civil war projects you may have seen . . which doesn’t diminish the horror and sadness, but perhaps brings it closer to home. 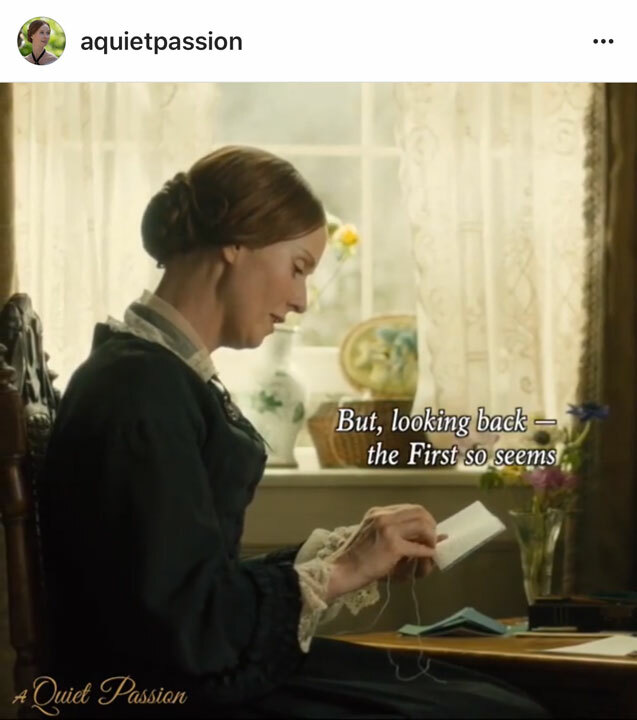 from the very first frames, the brilliant intense sun on the fields, and one man walking, your heart begins to skip beats, as you realize you are entering new cinematic territory. 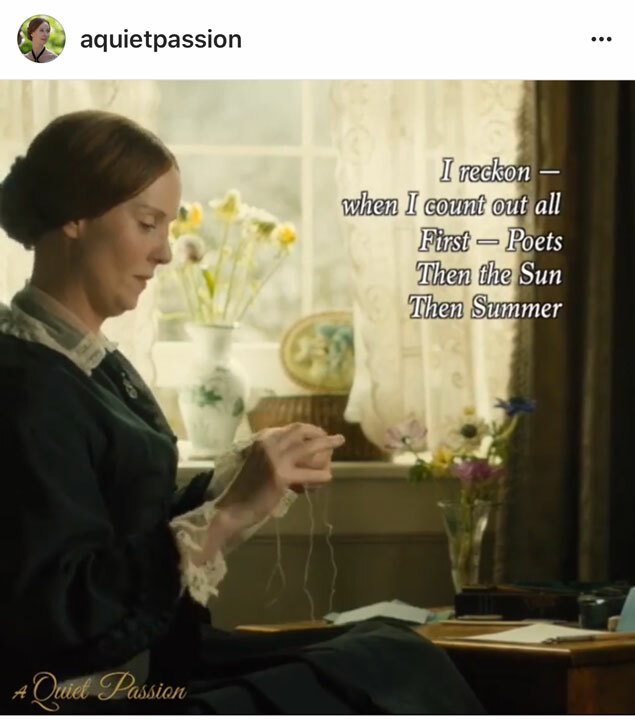 this film is just so intense and so hazy, just like that sun. I want to say it’s ‘new age’, a ‘millennial’ take: ‘hipsters’, ‘artists’, ‘friends’, locals’ . . going back for another deeper look – but, only to alert you to the power and newness of the filmmaking, itself. the story is timeless. but everything in this film is . . close up. singular. silent. and yet still – rewarding. fulfilling, unfolding, and ultimately, moving. ‘MEN GO TO BATTLE’ vs ‘THE REVENANT’ . . . AN INVERSION. equally powerful, one film is a young, low budget unknown director production, the other as you know: huge $$$. the American landscape, the sun, the trees, the earth itself of this young sweet passionate land . . loom just as large, if not larger . . than the greed, violence, hope, dreams, family love/bonds . . that are used to tell the tale of times – not so long ago. while ‘THE REVENANT’ indulges in great action & fight scenes, a big budget helps – ‘MEN GO TO WAR’ narrows in on the singular exposure that implodes one brother & sets the other on a very different path, a low budget helps in that, narrow defining . . . too, truth be told. but both films focus on family ‘bonds’, in one case of a father and his half-breed son, and in the other two hard-scrabble farmer brothers . . and use them to show . . what went asunder. what got lost, what kind of terrible growing pains, and biases – and struggle to survive and beat out the other – this country shuddered under, on a very personal scale. in the face of the broader history. and yet, still . . where are we ? ZACHARY TREITZ, the young filmmaker behind ‘MEN GO TO BATTLE’. what can you say, what could be more heart-stopping than to hear an intense, and not least of all innovative filmmaker, who has absolutely captured a dramatic moment in the nation’s collective history . . . and who has just won the TRIBECA FILM FESTIVAL – BEST NEW NARRATIVE DIRECTOR AWARD, with his film . . . say hi, and start quietly introducing his film. a young man, who looks out at you, the way he will never be able to from the Netflix platform, and wonders . . . if you will get it ? will his story unfold, will his film . . travel ? 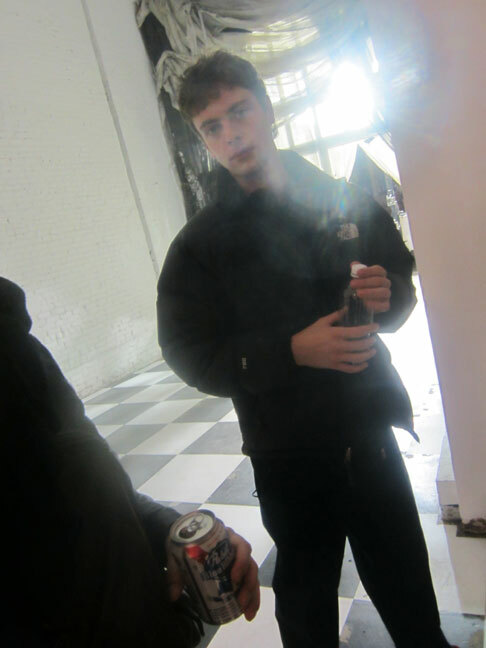 I couldn’t help thinking of the first time I encountered & was able to catch a photo of the incredibly talented ALEJANDRO GONZALEZ INARRITU, in the Fall of 2003, at a Julian Schnabel opening, when he was also a young filmmaker wondering if his films would travel. he still wasn’t big in the press, even though ’21 Grams’ had just opened, and he had won a Best Film Drama, Golden Globes award the night before – for ‘Babel’. that was, what .. 13 years ago ? and of course he swept the Oscars with ‘The Revenant’. such a powerful piece of filmmaking. and here stood this young director, just the same way. so passionate, so driven, so wondering. like I said, the great . . inversion. TIM MORTON (Henry Mellon), DAVID MALONEY (Francis Mellon) and their Director, ZACHARY TREITZ. I read that ZACHARY TREITZ is now a New York City based writer and director, and I believe he said that the two lead actors were also now NYC based, but that originally they all hailed from Kentucky. so put that in your pipe, and smoke it. that’s so deep, what can you say in a sentence. 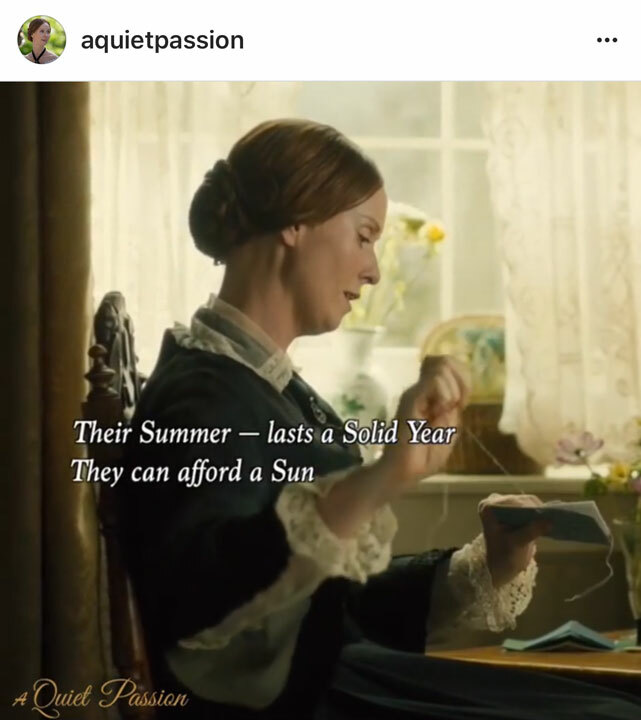 it’s liking taking one of those old Appalachian Civil War era, patchwork farm quilts, that jump up for a few frames in the movie . . . stitching it up, making it whole again – and sleeping in it, which I do. the story, and the story-telling . . is in their blood. Mr. Treitz even related . . that his ancestors were on the same trajectory of the successful Small family / Small’s Corner . . . that was depicted in the film, who also had everything taken away by the land burning / men maiming Civil War, and had to go back to the log cabin that their ancestors had first homesteaded in. DAVID MALONEY plays Francis Mellon, the older brother. he looks in person just like he looks in the film, a ‘local’. a wise-cracker, fire-cracker, hard working striver. he reminded of nothing so much as (former New York City) gallerist BILL BRADY. in looks, and in his Kansas City drawl, and easy ways, and the climb. the big climb . . up. ‘MEN GO TO BATTLE’ vs ‘The NIGHT OF’ . . or: THE GAME OF KNIVES !!!!! oh lord, yes. I was actually going to call this essay, THE TRIFECTA Of KNIFE GAMES, lol but I couldn’t remember if the defining deadly blows in ‘THE REVENANT’ were by blade or bullet. though I know a lot of steel was flashed. but . . if you caught the first installment of HBO’s fabulous ‘The Night Of’ . . . the knife game that Civil War era Francis plays on Henry, (and which sets the whole narrative re the Smalls and the future Francis Mellon marriage – in motion) . . . is focused on a very unlucky, but very probable, and not accidental !! knife wound to his bro Henry’s hand / and ego . . . is very eerily reminiscent of the future world of America, NYC after 9-11, a sinister urban disaster just waiting to happen to the wonderful young actor, RIZ AHMED . . as Queens ‘resident’ and would-be hipster partier/cabbie . . Nasir “Naz” Khan, who he gets his hand sliced in a knife game – gone wrong too. TIM MORTON as Henry Mellon, image via WALL STREET JOURNAL. this was the character I struggled to understand. maybe that’s a metaphor for THE WHOLE DAMN TIME. it’s not the dominant bro, Francis whose path the film follows, it’s Henry’s. even though it seemed at the beginning, he might be the smarter of the two, or at least about money and mules !! or two are always better than one. his bro, the taller and perhaps older Francis gets increasingly aggressive with frustration, and out of hand, and stabs him in the hand . . in a knife game. which sets him in motion to being rejected by the rich town daughter and so, humiliated, both by wound, sibling rivalry, and girl .. and, plus the farm ain’t going nowhere anyways, he sets off for the Civil War. he just gets increasingly dumb-ed down and zoned out by the horror and loneliness, but then . . he gets smart again (lucky?) (well he wakes up intact under a mighty pile of dead young soldiers) and, when he comes back, sees his bro married (to the girl who rejected him) steals some dough $$$, from a squeaky wooden dresser in the ole cabin . . and rightfully so !! and sets off again, hopefully . . for happier adventures. but, you just don’t know, because he seems kind of . . well, wounded. you know: the walking dead. PHOTOS: NANCY SMITH, ‘MEN GO TO BATTLE’ screening, Anthology Film Archives, NYC. Sun July 10, 2016.